The task of being an innovator – to spring a new twig on a well established branch of an idea, an art – is reserved to very few souls whom we – spectators, consumers – dote lofty, divine judgments for what has been offered. Still a few more distill this new way of looking at an idea, taking hold of these twigs and nourishing them into their own solid branch. Many would claim John Fahey as the father of American primitive guitar folk, taking notions of traditional folk music and enriching it to captivate listeners in a way that had not been heard before. His imprint has left a huge mark on guitar players over the years – Mark Fosson included. Fosson is that distiller, capable of taking what his mentor and luminary Fahey had laid out and making it a solid form. Fosson’s latest album kY is a shining example of this, but Fosson is anything but Fahey’s apprentice. Fosson has tapped into that same folklore and blues that Fahey so wonderfully crafted decades ago and has made a remarkable album that is still authentically his. Fosson features several upbeat jigs you should find featured in a backwoods club, notably “Avondale Strut” and “Loose Change”. He has a charming traditional themed musical poem called “A Drink With Stephen F”, which I can only hope is the short story of him dialoguing with the ghost of Stephen Foster. Fosson has not limited himself only to the guitar, as he has featured two songs on banjo – “Bad Part Of Town” and “Kingdom Come” – and one light-hearded piece on a mountain dulcimer – “Dogwood”. 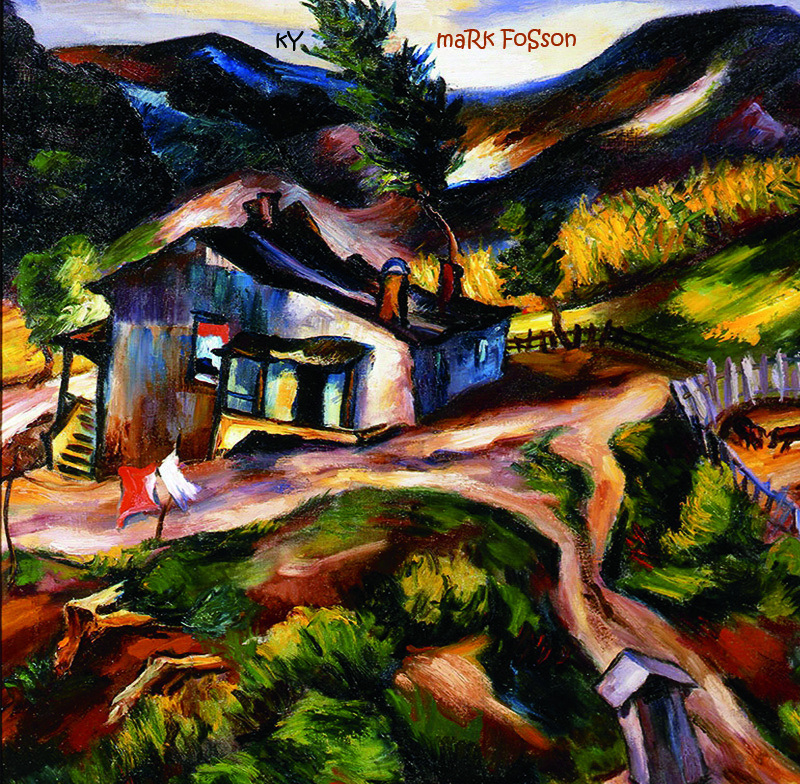 Where Fosson shines brightest are his stunning allusions of the magic of Atlanta and Mississippi 12-string blues, reminiscent of Blind Willie McTell and Mississippi John Hurt. These are not replications of a forgotten art – Fosson has conjured the busy yet purposeful, rich yet melodic approach of these former greats into his own American primitive vernacular. With the last track, “Come Back John”, Fosson shows off his mastery of Piedmont blues picking with own melodic nuances. Spend time listening to the shifts of album’s longest track, “When We Were Young”. It is in this track that his style of introspective wandering is given its fullest measure, featuring movements where Fosson allows his mind to roam freely on a musical thought, pausing only to reconsider another side of the same notion. A former Kentucky native drawing on the experiences his former home, Fosson gives Kentucky folks a reason to smile and be proud for this son. This album is a rich offering of well-balanced Americana folk and is one of the more refreshing releases for 2015.